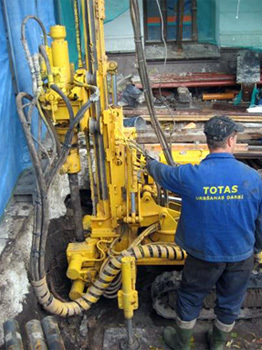 One of the types of SIA „TOTAS” business is drilling related to the construction of building zero cycle. Water lowering. 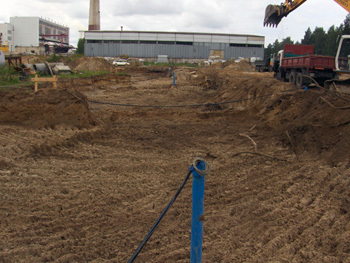 Practically during the construction of any building, construction companies have faced the high level of ground water. 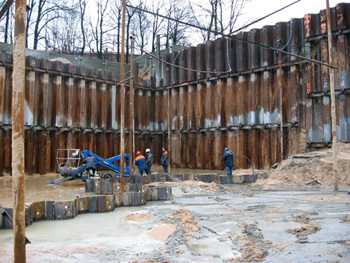 For execution of qualitative „0” cycle works, temporary lowering of the level of ground water and its retention is required. 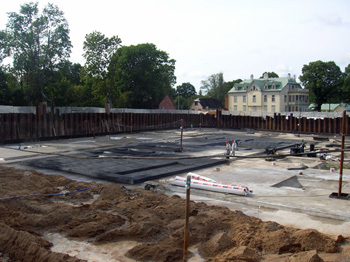 But lowering of ground water can negatively affect the neighboring buildings. 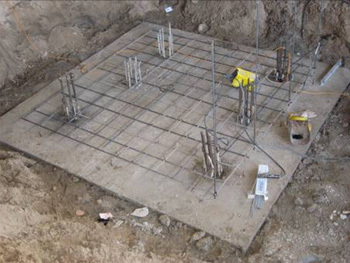 SIA „TOTAS” provides construction of water lowering system with simultaneous recovery of ground water level and monitoring in the area of construction. 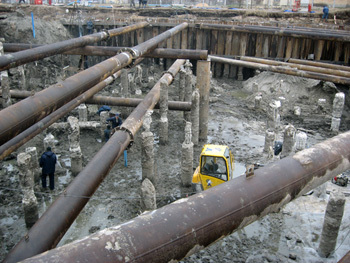 We offer full set of trial pumping, designing, project realization, maintenance of water lowering system. 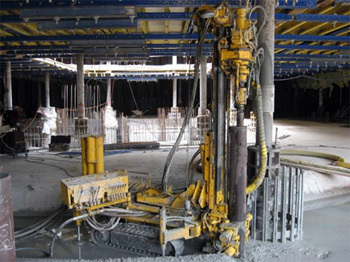 Pale arrangement works, drilled pales, drilling-injection pales, anchor pales ISHEBECK, MAI, static inspection of pales, geologic research before pale arrangement. 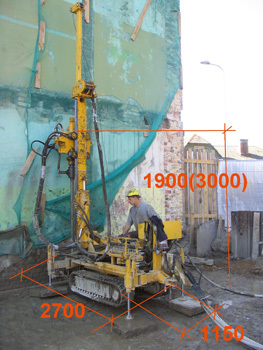 Arrangement of walls limiting the construction pit. 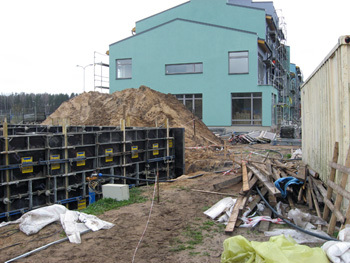 For potential clients SIA „TOTAS” can offer the wall limiting the construction pit, metal-wood construction and pale wall. 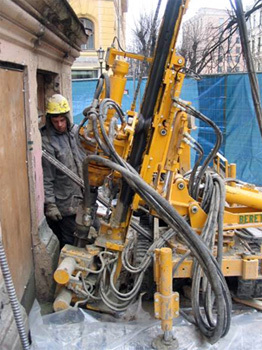 Works can be provided in limited conditions. 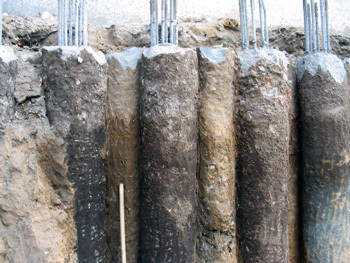 Pressed in pales are countersank in the ground without drilling or soil taking out. 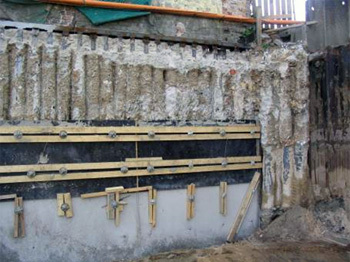 Basis of pressed in pale construction method is static pressing in that results in pale immersion under static load. 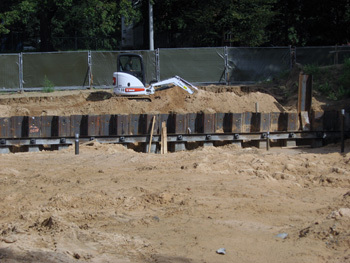 Press in pale technology allows to press-in the pale up to the project mark because no limits for depth exist.